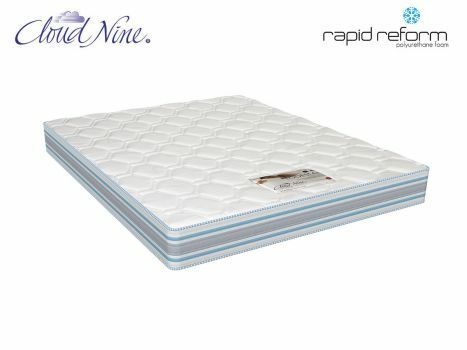 I've just bought my 2nd Cloud Nine - Lodestar mattress. My disability has a huge effect on spine, to such an extend that I'm constantly in pain due to muscle spasm, etc. I've slept on other mattresses before but the pain was worse when I get up in the morning and the quality of sleep poor. This mattress may feel hard but it improves my quality of sleep and gives my body time to heal during the night due to this excellent support, which doesn't put strain on my back, lower back, hips or neck. This mattress is also recommended by chiropractors, that is how I came to know about it in the first place. Looking after my Cloud Nine - Lodestar rewarded me with years of quality sleep. I bought my 1st mattress about 9yrs ago and still use it in my guest bedroom. I'll never buy any other mattress every again! Date Added: 07/17/2015 by Marina H.